Looks like you are currently in United States but have requested a page in the Luxembourg site. Would you like to change to the Luxembourg site? 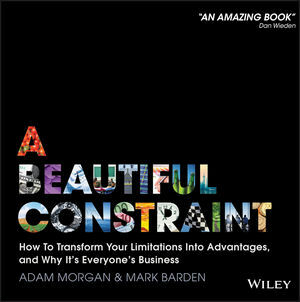 ADAM MORGAN is the author of Eating The Big Fish: How Challenger Brands Can Compete Against Brand Leaders, the international bestseller that introduced the concept of challenger brands to the world of marketing. His ideas have been widely cited as a key influence by a new generation of successful entrepreneurs and business leaders around the world. He is founder of eatbigfish, a renowned marketing consultancy that works with clients to develop their own breakthrough strategies, from Helsinki to Hanoi. MARK BARDEN runs the west coast business for eatbigfish in the US. Over his career he's won the Platinum Award for direct response marketing, taken a dot com public, warmed up a crowd for Ellen De Generes, and played a Buddhist monk in a Kleenex commercial. His advice on how to create breakthrough thinking with outsize results is much sought after. He is a popular speaker, world class facilitator and occasional coach.